At Eco Windows Scotland we take pride in using high quality products and techniques to bring you a superior choice of windows and doors. We offer a wide range of double glazed or triple glazed uPVC windows, front and back doors, patio sliders and french doors. with A-rated thermal efficiency. Our Schuco aluminium products are second to none, including aluminium windows, sliding patio doors and bi-folding doors. 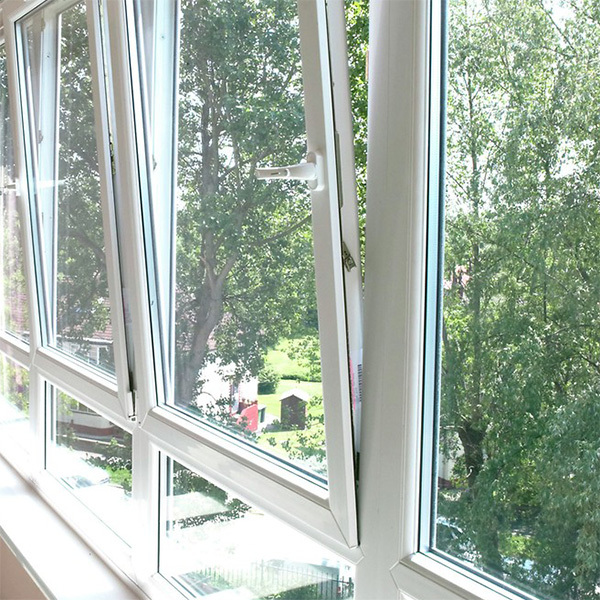 With triple glazing or double glazing, our window styles include casement opening, tilt and turn opening, sliding sash windows and aluminium windows. 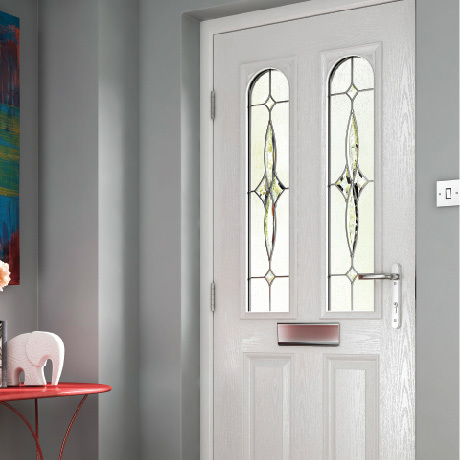 Eco Windows Scotland offer a superb choice of entrance doors, from practical composite doors, uPVC front and back doors and stylish french doors. 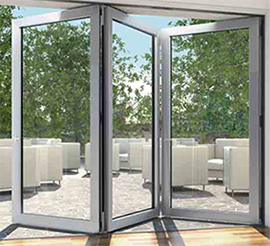 See our Schuco aluminium bifold doors and aluminium sliding patio doors. Eco Windows Scotland also offers modern uPVC slding patio doors. According the the Energy Saving Trust, the UK aims to reduce carbon dioxide emissions by 80 per cent below 1990 levels by 2050. For homeowners this means choosing energy efficient products for replacement windows and doors and new builds or extensions. 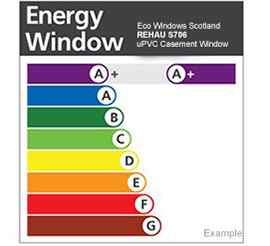 At Eco Windows Scotland we aim to use the most thermally efficient frame and glass technology to achieve lower u-values and to exceed the standard A-rating. We are a family-run business and we don’t employ sales people. Our products are manufactured in our East Kilbride factory and we have more than 20 years experience for your peace of mind. We always offer our lowest price first time, there’s no need to haggle. Rehau windows and doors systems offer outstanding quality in design, performance and energy efficiency. The Rehau profiles we use in manufacturing our PVCu windows and entrance doors ensure that we provide the very best products to our customers. Planitherm glass is the ultimate in high performance glazing. We use SGG Planitherm Plus low-E glass for its exceptional thermal insulation qualities, reduced condensation and transparent coating for haze and tint-free windows. Schüco aluminium doors are developed to the highest expertise in folding and sliding door systems. 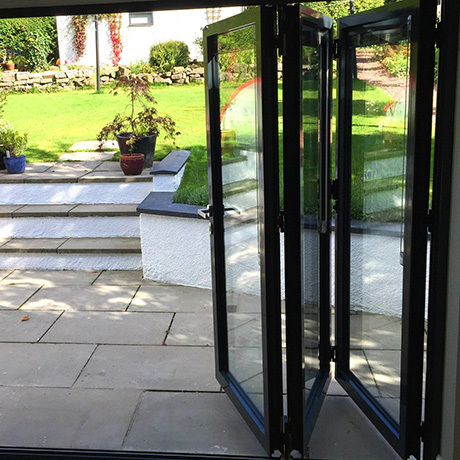 Offering the ideal solution to creating light and space in the home, we manufacture the aluminium bifolds at our own factory to custom specifications. We install triple glazed, thermally insulated Planitherm glass to reduce heat loss and to save energy. Transform your living space with folding/sliding doors from Schuco, and open up your home to the outside. 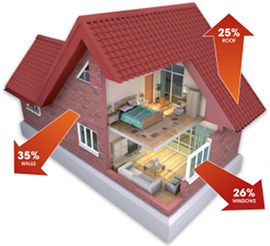 Compared to double glazing, windows with triple glazing help significantly reduce heat escape and noise.